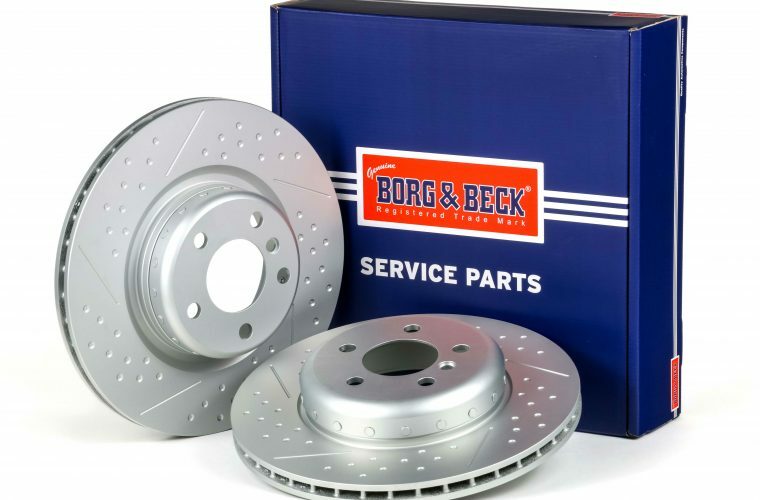 Borg & Beck has made new bi-metal brake discs, fitted to several models in the BMW range, available to the aftermarket. Each bi-metal disc in the comprehensive 16-part number range, is finished in a water-based, zinc and aluminium flake BECKTEC coating. Distributors have access to a complete and competitive braking solution, backed with the assurance afforded by Borg & Beck, a globally recognised brand with original equipment heritage. With original equipment manufacturers (OEMs) focusing in on product consolidation and material evolution, the challenge to take weight out of such a safety critical and performance related component, without altering its face materials – as these are essential for working in harmony with the brake pads – was considerable. The solution that BMW has come up with, contributes to its overall weight-saving objectives by removing up to 20 per cent of the weight of the previous disc. This has been achieved by changing the material specification of the disc’s ‘top hat’ from cast-iron to aluminium, which is now riveted onto a cast iron friction face, creating a completely new concept for everyday automotive applications, in the form of a two-piece composite design. BECKTEC coated brake discs incorporate innovative water-based technology, to produce a fully protected disc, which not only looks good and remains rust-free for the vehicle owned, but also saves time during installation, as technicians do not have to clean them or remove any oil residue before fitting, so they can go straight from the box to the hub. As well as protecting the disc inside and out against rust and corrosion, the water-based coating using Zinc-Aluminium flakes also provides improved thermal properties, which results in better performance and naturally, there is no compromise on the make-up of the high carbon material used or weight reduction in their production. Borg & Beck’s BECKTEC double rubber shimmed pads utilise fine copper-free metallic fibres consistent with the OE formulation, which mitigates the corrosive effects and noise associated with coarser, less expensive pads that wear quickly and perform less effectively. Plus, in-line with OE specification the pads are chamfered and grooved, and where applicable are supplied with integral wear leads, sensors, bolts and accessories, offering a premium aftermarket solution. For more information about Borg & Beck, call 01869 248484 or select ‘more details’ below.